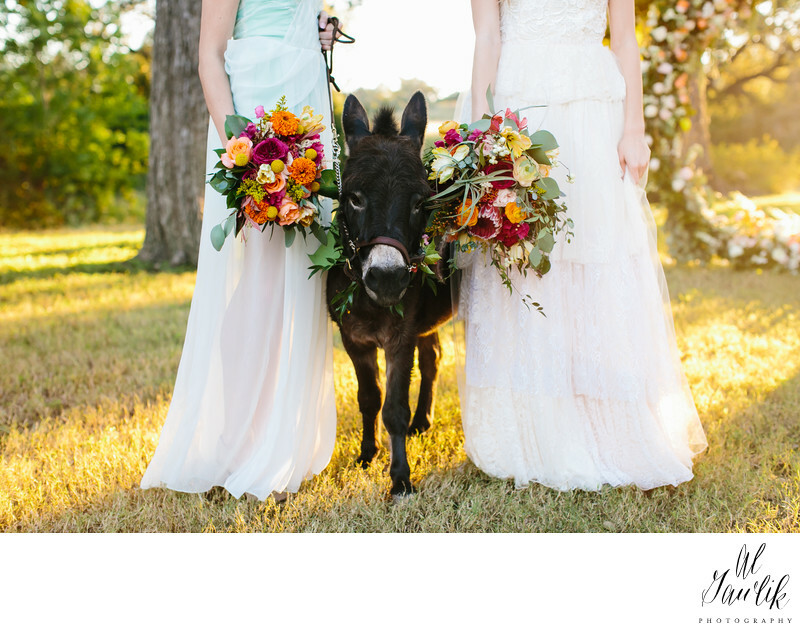 Amy captures the light, the colors, and the the contrast of the Wedding Donkeys and the Bridesmaids flowers at Pecan Springs Ranch. Amy is always seeking the elusive moment where the light is just right and the wedding party is oblivious to her presence. The flow of her photographic presence and the natural essence of her imagery provide a welcome and pleasant experience that will be remembered and cherished forever. Location: 10601 Derecho Dr, Austin, TX 78737.